Bunting anyone? Another sketch from my head today as still #stuckinWestern hospital, although hopefully out soon. 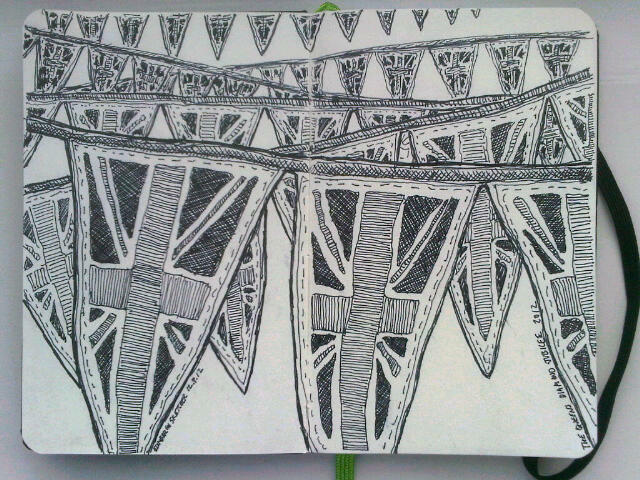 After reading in the paper about all the upcoming Queen’s Diamond Jubilee celebrations coming up I thought I’d try and sketch some hanging bunting. What do you think, perhaps it needs a little colour. I like it just in pen though. Good to see you on the mend MR K.